I doubt I’m alone in having received an email from my MP last night explaining their vote to trigger Article 50. As my MP is Keir Starmer, the shadow Brexit Secretary, his views – and indeed his speech – have been widely reported. I wanted to share my reply as a kind of protest against the failure of the Labour Party to do its current job and effectively challenge and hold the government to account. Voting for this makes that hard to envisage. 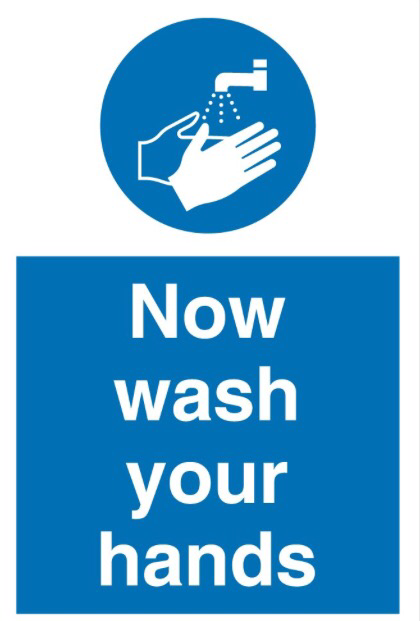 One Labour MP reportedly told Channel 4’s Gary Gibbon that they “need a bath after that”: they appear to be their own shower. Thank you for this email. I saw your speech in the Commons earlier today and was impressed as usual by your clarity, honesty and integrity. On the point at issue, however, I disagree. A majority of your constituents – myself included – voted clearly to Remain and I had hoped that you would follow suit, particularly since the government has a majority and there is no need to contradict the democratically agreed policy of the party – parliamentary colleagues such as John Mann and Gisela Stuart will likely ensure the electoral cowardice of the government achieves what pass for its aims. I’ve just seen another clip of your speech again. You are a democrat and have the backing of party policy, your constituents and most importantly your conscience to lead you into the ‘No’ lobby tomorrow evening. views on the issue, I wanted to write to you to set out my approach to this Bill. I apologise for the lengthy email – but none of this is straightforward! saddened and frustrated by the outcome of the referendum. For me and for many Labour MPs the Article 50 vote now presents an agonising choice and I have thought long and hard about the right course of action. referendum was merely a consultation exercise to inform Parliament holds no water. Equally the argument the leave vote was only 37% of those eligible to vote loses its strength against the argument that less than 37% voted to remain. Neither side can claim that those who did not vote would have voted either to leave or to remain. We simply do not know. It follows that it would be wrong simply to frustrate the process and to block the Prime Minister from starting the Article 50 negotiations. I will not therefore be voting against the EU (Notification of Withdrawal) Bill this week. throughout negotiations. I will be taking these amendments through for Labour in the House of Commons next week. and mean that MPs could send the Government back to the negotiating table if they are unhappy with the proposed final deal. checked. Labour has also tabled amendments that establish a number of broad principles the Government must seek to negotiate, including protecting workers’ rights and securing full tariff and impediment free access to the Single Market. We will also try to ensure that the legal status of EU citizens already living in the UK is guaranteed before negotiations begin – a point that is long overdue. It is also important to recognise that the triggering of Article 50 is merely the start of the process for leaving the EU, it is not the end. up the economic and social fabric of the country and turn Britain into a tax haven economy if she fails in her negotiations. account every step of the way. 75% Remain vote in Holborn and St Pancras by voting against Article 50 and resigning my post in the Shadow Cabinet. but I hope that my explanation helps. Labour Member of Parliament for Holborn and St. It all begins with a coffee at Starbucks. As I waited for my latte, I noticed a map on the wall: a map of coffee history, from the discovery of coffee berries (c. 800 CE) to the establishment of Starbucks in 1971. 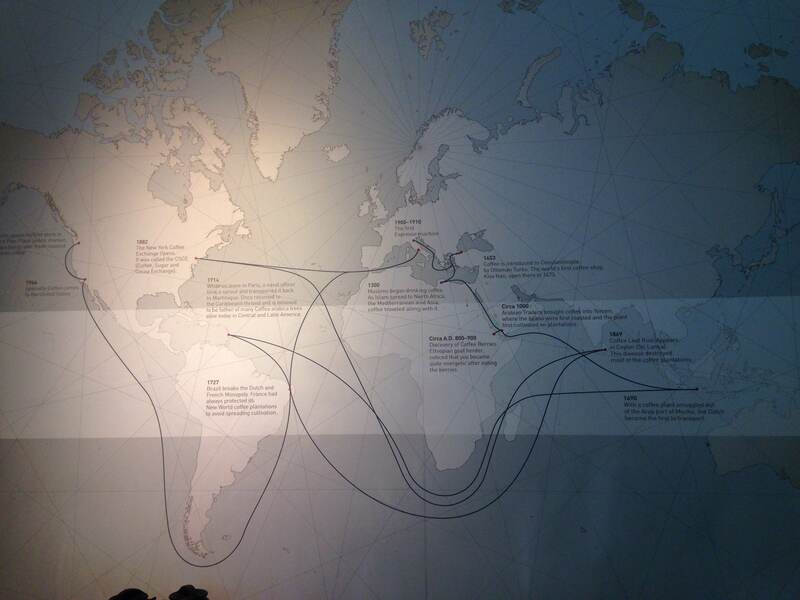 The lines tracing Atlantic voyages caught my eye, taking me back to an early lesson in my PGCE placement last year looking at how the demand for tea, coffee and sugar in the eighteenth century had stimulated the British economy. Tea, coffee and sugar grown on plantations in the Caribbean, South America and the southern United States (as they had recently become): plantations where the work was done by slaves. Of this trade, which carried millions over a period of 315 years, not a trace remained. Starbucks map of coffee, July 2015. Photo: Jaime Ashworth. At last, when the ship we were in, had got in all her cargo, they made ready with many fearful noises, and we were all put under deck, so that we could not see how they managed the vessel. … The stench of the hold while we were on the coast was so intolerably loathsome…. The closeness of the place, and the heat of the climate, added to the number in the ship, which was so crowded that each had scarcely room to turn himself, almost suffocated us. This produced copious perspirations, so that the air soon became unfit for respiration, from a variety of loathsome smells, and brought on a sickness among the slaves, of which many died — thus falling victims to the improvident avarice, as I may call it, of their purchasers. 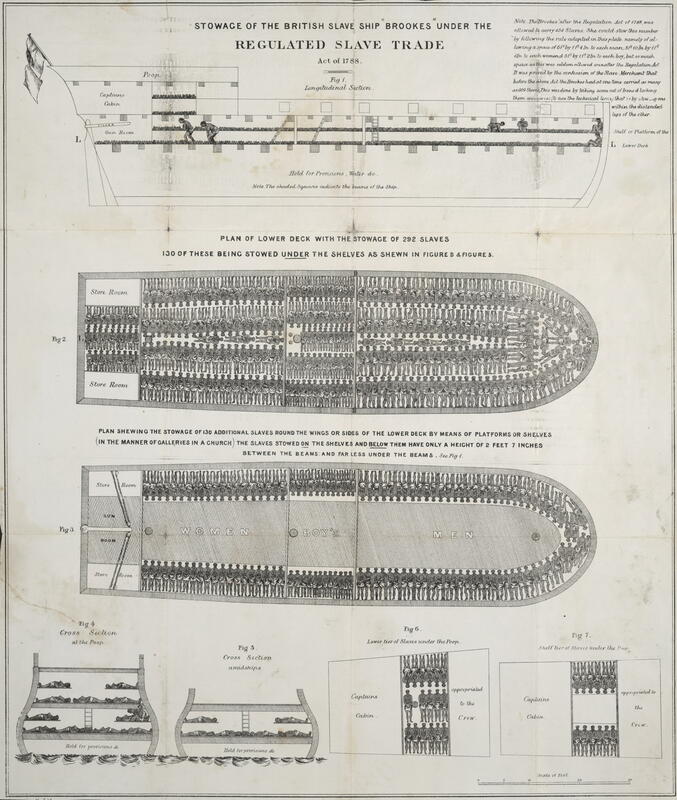 It is a measure of the awfulness that one of the most famous images of the abolition campaign, the Brookes illustration, shows conditions on board after legislation in 1788 to regulate the numbers ships were allowed to carry. The Port Cities: Bristol website explains that while the illustration shows 295 slaves packed into the vessel (with barely room to move), a previous voyage had transported 609. Borrowing a term from Terrence des Pres’s The Survivor on the degradation in the camps of the Third Reich, this was an ‘excremental assault’. Conditions reduced the slaves’ estimation of their own worth as ‘defilement was a constant threat, a condition of life from day to day, and at any moment it was liable to take abruptly vicious and sometimes fatal forms’ (des Pres, 1978: 57). As Equiano narrates: ‘with the loathsomeness of the stench, and crying together. I became so sick and low that I was not able to eat, nor had I the least desire to taste any thing. I now wished for the last friend, Death, to relieve me’ (Equiano, 2003: 56). As in the Nazi camps, the assault kept others at bay. Other ships could smell the slavers for miles and avoided them and the miasma they carried: literally distancing themselves from the terrible reality, ‘stifling in common loathing the impulse toward solidarity’ (des Pres, 1978: 61). The legislation of 1788 was introduced partly in response to the case of the Zong: a ship which left Africa in August 1781 with 442 slaves aboard. After 62 slave deaths from malnutrition and disease, the captain ordered that a further 78 be thrown overboard: the terms of the ship’s insurance were such that ‘natural’ deaths would not be compensated (to the slaver) but slaves jettisoned to save the rest of the (human) cargo could be. The conditions had done their work; ‘murder [was] less terrible to the murderers, because the victims appeared less than human’ (des Pres, 1978: 61) and ‘death could be administered with the conviction that so much rotten tissue had been removed from life’s body’ (Ibid. : 62). Furthermore, although the Zong featured in abolitionist literature just as in contemporary curricula as a milestone on the road to abolition, the facts are less reassuring. The case was brought by the insurers out of a sense of financial rather than moral outrage and never properly resolved. The connections between slavery and British wealth are well documented, not least in the National Maritime Museum‘s superb galleries on the Atlantic and the East India Company, the Liverpool International Slavery Museum and the Legacies of British Slave-ownership project at UCL. But the gap in everyday discourse represented by the single reference in Starbucks to the Caribbean was striking. While on leave in Paris, a naval officer took a sprout and transported it back to Martinique. Once returned to the Caribbean [it?] thrived and is believed to be father of many Coffea arabica trees alive today in Central and Latin America. The web of imperial and colonial power that took the plant from Africa to Paris and thence from Paris to Martinique is obscured by the statement itself. It is an example of what Barthes termed the privation of history, in which historical language ‘is a kind of ideal servant: it prepares all things, brings them, lays them out, the master arrives, it silently disappears: all that is left for one to do is enjoy this beautiful object without wondering where it comes from’ (Barthes, 2000: 178-179). 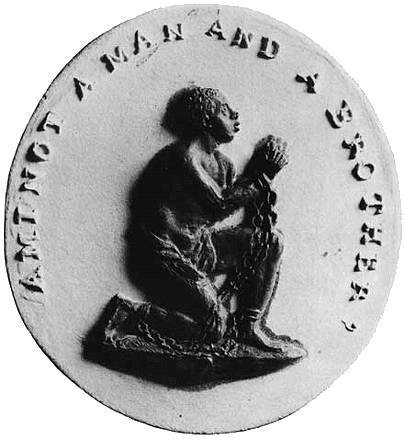 Wedgewood anti-slavery medallion copied from the seal of the Anti-Slavery Society. It is not coincidental that this project begins with a link between the past and addictive consumption: eeven imperial defender Niall Fergusson notes the importance of the new stimulants in British imperial expansion: the Empire, he writes ‘was built on a huge sugar, caffeine and nicotine rush’ both commercial and physical (Fergusson, 2003: 15). Christopher Keep and Don Randall have read the ‘relationship between the imperial imaginary and the psychic economy of addiction’ (Keep and Randall, 1999: 208) into the Sherlock Holmes story The Sign of Four as one of the ‘stories which the Empire told to itself’ (Ibid. : 207) in order to ‘authorise, legitimise and mythologise its campaigns of material and economic exploitation’ (Ibid. : 219). The Ibis trilogy by Amitav Ghosh depicts this process from the perspective of the colonised, drawn into a global web of trade, power and exploitation. 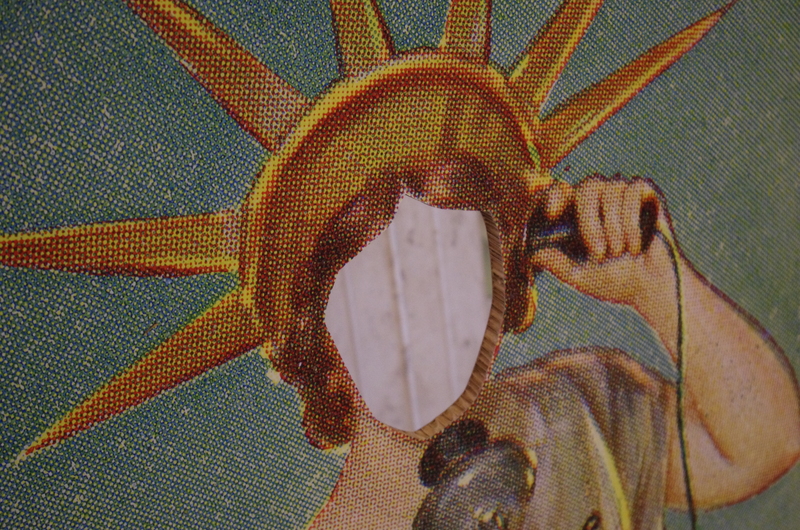 History consists of both voices and silences, and the latter are hard to address. As Gayatri Chakravorty Spivak famously and despairingly noted, ‘the subaltern cannot speak’ (Spivak, 1988: 308). Hugh Thomas, in his magisterial history of the slave trade, comments: ‘The slave himself is a silent participant in the account […] an unknown warrior, invoked by moralists on both sides of the Atlantic, recalled now in museums in one-time slave ports from Liverpool to Elmina, but all the same unspeaking, and therefore remote and elusive’ (Thomas, 1997 : 799). 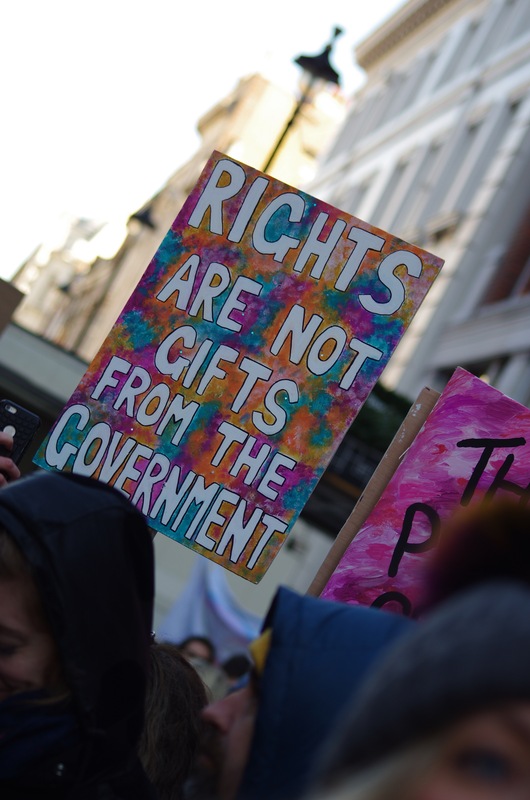 The gendered language as Thomas comments on the gaps in the record is ironic testimony to the problem he identifies, his formulation eliding the possibility of an alternative which recovers the voices and histories of women and children. The question posed by the abolitionists – Am I not a Man and a Brother? – is once more problematised: certainly a man (not a woman or a child) but still not a brother, or at least only a younger, subservient one to be pitied. The figurehead carved for the Royal George yacht in 1817 stands in the National Maritime Museum. The information notes that its figures (copied from the Wedgewood medallion) ‘indicate[s] how much anti-slavery imagery and language had pervaded British society by the early 19th century’ but I can’t help seeing in it the persistence of a hierarchy: grateful supplicants to royal mercy. Detail of the ‘Royal George’ figurehead, National Maritime Museum, Greenwich. Photo: Jaime Ashworth, 2015. The silences of the Starbucks map set me thinking about the need for educational resources to fill these silences. As a history teacher, I am very aware that as Alison Kitson and Chris Husbands put it, ‘the selection of what we teach, as well as how we teach it, directly confronts our assumptions about ‘usable’ or ‘significant’ knowledge’ (2011: 133). If we see the construction of curricula as ‘a selection and organization from the available knowledge at a particular time’ (Young, 1971: 24), justified by assumptions about culture and ‘fields of knowledge’ (Stenhouse, 1975: 19) and who can be seen as a ‘legitimate author’ (Apple, 2000: xxviii) we can also see ‘disciplines’ and ‘subjects’ as social constructs which serve to replicate power relations. One does not have to be a Foucauldian to partner ‘discipline’ with ‘punish’ or to see the linkage between the elision of historical slavery and the obscuring of the nature of the supply chain to the modern consumer: I can’t answer the question that acts as a heading to this section. These elisions are what Heidi Safia Mirza terms ‘embodied intersectionality’: the physical manifestation of ‘patterns of power and ideology that reproduce inequalities based on race and gender differences’ (Mirza, 2009: 2). Silences of the type embodied in the Starbucks map are perhaps the most insidious practices which go toward creating ‘gendered, raced, classed, colonised, sexualised ‘others’’ (Mirza, 2009: 3) since it is difficult to become aware of them, much less confront or challenge them. #missinghistories is intended to be a way for different voices to express themselves. The conundrum of whether a white middle-class heterosexual male can even raise this without being patronising is probably irresolvable: the reader will have to trust my goodwill. Practically, an INSET training by Mirza helped me articulate the power of educational resources in addressing these patterns by exploring and exploiting the gaps created in the language of history itself. I had already designed a session intended to problematise the use of the word ‘mulatto’ in a historical analysis in response to comments by students of Afro-Caribbean descent at earlier material, and continued to draw attention to the language in which (in the Barthesian formulation) the past was spoken. Looking at Indian participation in WW1 from the perspective of work by David Olusoga (2014) and Santanu Das (2014) both challenged the dominant narrative that reduces it to a ‘tragic but monochrome European feud’ (Olusoga, 2014: 424) and allowed students to make links between historical writing and empire. Samples of all these resources (suitable for AS History) are available to download on the #missinghistories page, along with an elaboration (missinghistories) of the project’s concrete outcomes. Amitav Ghosh has written that “the only people for whom we can even begin to imagine properly human, individual existences are the literate and the consequential . . . the people who had the power to inscribe themselves physically upon time”. In his novels, he inverts this significance by making the coloniser speak in a historical patois that is hard to comprehend while his ‘colonised’ characters are narrated in lucid and limpid prose. Supplying #missinghistories helps us to perform a similar inversion where ‘alternative’ sites of memory (Nora, 1989) can become part of the narrative of the city and so change it. In the recent documentary Britain’s Forgotten Slave Owners, projections of the registers of those who claimed for compensation were superimposed on contemporary London: #missinghistories allows us to do this over time and for many other stories. 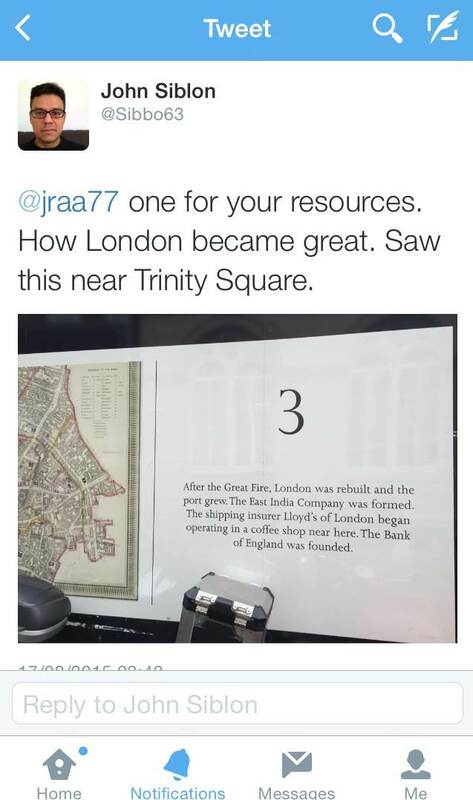 A tweet from my placement colleague John Siblon is a model of how twitter might be used to do it: why was the East India Company formed? How did the growth of the port affect the coffee shop? What was the role of the Bank of England? We can ask these questions on the move. More broadly, therefore, these rewritings of the problematic representation or non-representation of the past change the city in which they are found. Michel de Certeau described the city as composed of ‘unrecognised poems’ (de Certeau, 1988: 93) of meaning in relation to space and time. The voices of Londoners could rewrite this poem, creating new ‘trajectories and alterations of spaces’ (Ibid.) that send thoughts and everyday habits along new figurative as well as literal avenues. If you attended the London Open Garden Squares event earlier this year, you will know the way your eyes are opened in new ways by finding somewhere you’ve never been before. If you went to the Clay Cargo event at King’s Cross, you’ve seen the power and beauty of Londoners literally remoulding the fabric of the city in their own image. By filling in #missinghistories we are actually creating a new history which in turn opens up a new future. Hopefully, by rewriting and remapping the city in which we live, we can change the lives that are lived within it. 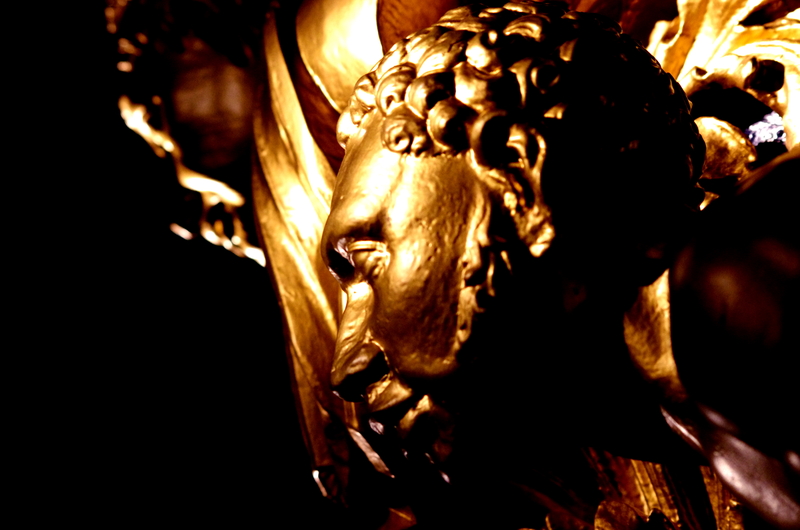 Stills from ‘Britain’s Forgotten Slave Owners’. Copyright of originator. From the public: photos of representations or non-representations of the past that fascinate, infuriate or just simply amuse. From educators: teaching resources designed for use in addressing representations or non-representations of the past, or linking local points of interest to the formal curriculum. From institutions and organisations: links to the resources designed already for use with exhibitions and sites, with as much detail about the exhibition or site as possible. Post to Twitter (@missinghist) with the hashtag #missinghistories or post direct to the page on this site. 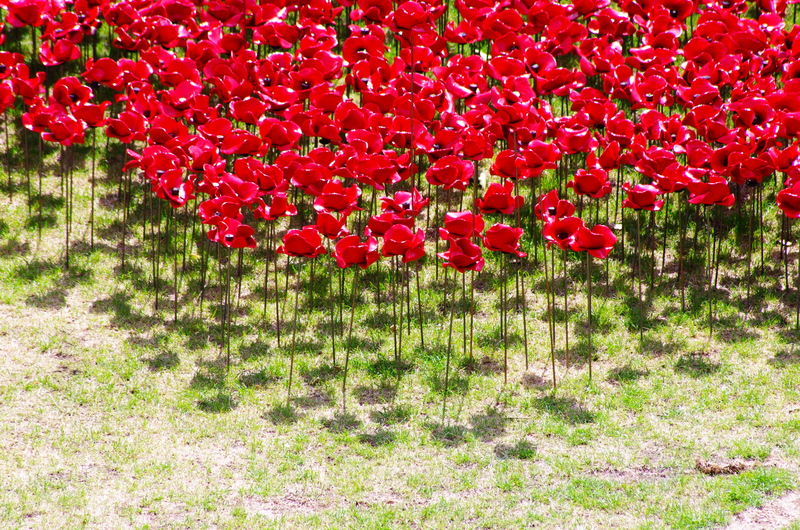 Detail from Paul Cummins, ‘Blood Swept Lands and Seas of Red’, July – November 2014. Photo: Jaime Ashworth, 2014. In The Missing of the Somme, his 1994 meditation on the legacy of the First World War, Geoff Dyer suggested that ‘in terms of remembrance the years 2014-2018 will represent the temporal equivalent of a total eclipse. By then no one who fought in the war will be alive to remember it.’ While the concrete prediction was unsurprisingly accurate (though Harry Patch, ‘The Last Fighting Tommy’ died only in 2009) the weight of coverage and number of memorials mean that it can hardly be considered an eclipse. Visiting the newly renovated Imperial War Museum London and its new First World War Galleries and the installation by Paul Cummins at the Tower of London, Blood Swept Lands and Seas of Red, I have been struck not just by the sheer numbers (the IWM galleries have timed tickets to cope with demand) but the intensity with which people have engaged. For an event which has passed out of living memory (for combatants at least) it is remarkably emotive still. Even allowing for the degree to which media attention will amplify/produce/manufacture interest the response has been impressive. According to 1418Now, three million homes turned out their lights and lit candles to mark the centenary on 4 August. The ‘Truth and Memory’ logo. Photo: Jaime Ashworth, 2014. There is no shortage of pieces explaining/asking ‘What WW1 did for us’, nor is there any dearth of historical research exploring the origins and significance of the conflict. 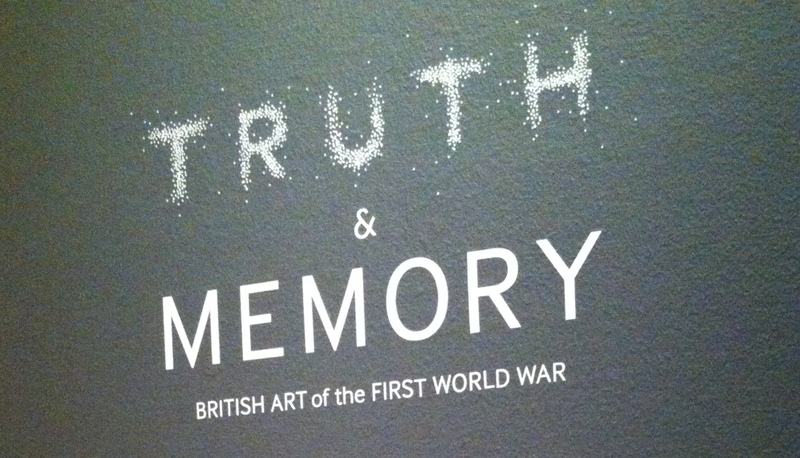 What I want to do here is look at the way this is happening in relation to the terms ‘Truth’ and ‘Memory’ – employed by the IWM as the title for an incredible exhibition of their First World War art collection. Walking through the exhibition, my respect for the art itself was only slightly offset by disquiet at the ideas behind it. If there was a redefinition of ‘truth’ then how did that work? Did William Orpen’s use of biblical motifs redefine or reinforce them? 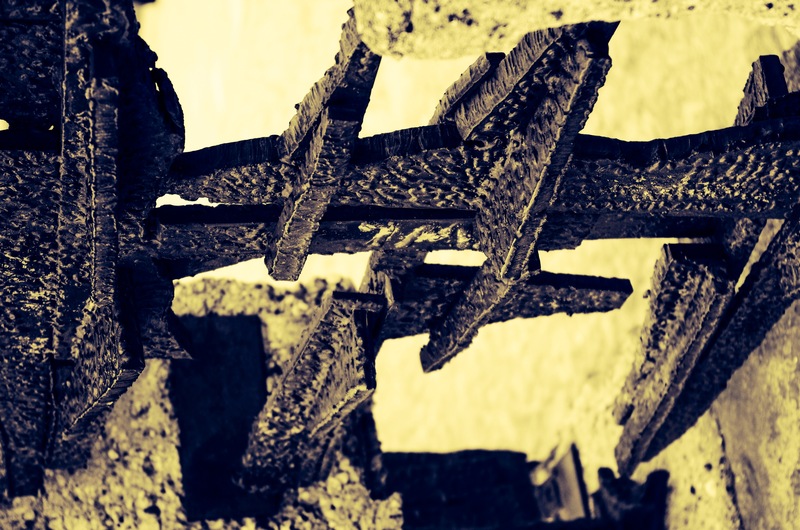 Iconoclasm or even theodicy can be the sincerest forms of worship. Was the ‘grizzly truthfulness’ of Percy Delf Smith’s The Dance of Death a challenge to established ideas? Employing the medieval allegory of the Grim Reaper seems to emphasise continuity rather than challenge. Conversely, can anyone stand in front of John Singer Sargent’s Gassed and see ‘the legitimacy of Britain’s cause and the nation’s sacrifice’ without any hesitation or question? These questions, of course, are in the context of a breathtakingly thorough exhibition that needs to be seen and reflected upon. The tensions between the concepts are nonetheless there, and unsurprisingly so. Truth will always require formulation and to that extent will be partial, at least in its expression. Memory presupposes that something is being remembered – which means that the scope of the imagination will come up against the facts of what happened. As Barthes put it, there is ‘stupefying evidence of this is how it was, giving us, by a precious miracle, a reality from which we are sheltered’ – the reality being the truth which can only be partially expressed. From the IWM London First World War Galleries. Photo: Jaime Ashworth, 2014. Rather, therefore, than seeing a binary, on/off relationship between truth and memory, I see a spectrum of what I term mythology. Building on the work of Barthes, I see our engagement with the past as resulting from a tension that starts with an awareness that there is always ‘a language in which we speak of something’ which creates and defines the gap between what happened and how (or whether) we can speak of it – or if in fact we can sometimes stop speaking. This is about resonance and allusion, conscious or unconscious, of the period and/or anachronistic. Thus the title of William Roberts’s 1918 The Gas Chamber summons associations that are at once anachronistic and relevant. The chamber Roberts depicts is for training soldiers in the use of gas masks but at the same time the experience of gas attacks as both perpetrator and victim had a legacy in the death camps of the Third Reich, though it would be a mistake to join the concepts as though with a ruler. We need to remember Johan Huizinga’s injunction (quoted by Dyer) to ‘put ourselves at a point in the past at which the known factors seem to permit different outcomes’ and simultaneously know that it did happen a certain way and not another. In short, an awareness that we are not dealing with the object ‘memory’ but the act of remembering. Not mythology but mythologisation. To achieve this, a museum needs to tread a path between explanation and play-acting that explains and illustrates the experience without confusing it with the reality that is being described. Not “I have been in a trench from the First World War” (which is patently false) but “I have enough insight to know what I can never experience”. The Blitz Experience and Trench Experience that used to occupy the parts of the building that are now the First World War Galleries used to fall into the trap of trying to recreate a reality which could not be recreated. The Dutch journalist Geert Mak wrote of sitting in a ‘fairy-tale air-raid shelter listening to the howl of the sirens and the thudding of the Heinkel bombers’. More recent exhibitions such as the permanent Holocaust Exhibition and In Memoriam (commemorating the ninetieth anniversary of the end of the First World War) have succeeded, however, in precisely the terms I am talking about, using installation and artful display spaces to suggest the experience of what is being described rather than indulging in theatrics that leave the visitor aware that it was just a fairground ride. In clearing out the ramshackle dioramas and glass cases of the First and Second World War exhibitions the challenge was to produce a space that provided information and experience in ways that are accessible and thought-provoking. The new galleries succeed in this with remarkable sophistication. Paper soldiers go to war. IWM London First World War Galleries. Photo: Jaime Ashworth, 2014. A phenomenal array of exhibits and artefacts fill an exhibition space which crawls with explanations and questions, not asking you to imagine you are there but challenging you with the question; can you imagine this? Making your jagged way through the exhibition, the structure allegorises ‘The Trench’ while the lapidary scansion of the information panels constantly draws attention to the language in which they speak. One of the final panels reminds us that ‘Different generations/ have taken different standpoints/ as to what the war meant/ and we still grapple with its meaning today’. It is a brave choice to end a historical exhibition in such a significant location with questions about what is contained therein but this is what the IWM has done. In keeping with the awareness in its Corporate Plan that there is no end in sight to its role as ‘a global authority on conflict and its impact, from the First World War to the present day’ it offers questions. The present day is a moving target and answers are therefore provisional. A visitor to IWM London engages with ‘Queen and Country’ (Steve McQueen, 2006). Photo: Jaime Ashworth, 2014. And this is not isolated but clearly a strategy that the future will maintain. In the post-1945 galleries, bringing Queen and Country by Steve McQueen into the body of the museum does this: on the day I visited, two staff members were watching visitors explore the work and murmuring approvingly at the interaction – in contrast to its previous splendid isolation next to Sargent’s Gassed. On the same floor, Mark Neville’s Bolan Market – footage taken from inside an armoured vehicle on patrol in Afghanistan – puts the visitor uncomfortably into the shoes of an occupier, the scowls and fear-struck faces leaving you in no doubt of the relationship between watcher and watched. And all through the ‘temporary’ Galleries, the thoughts of curators, designers and historians emphasise the constructed nature of the museum, forcing a confrontation with the means by which the story has been spoken. There is always emphasis on the work of memory, returning the responsibility to find answers to the visitor. 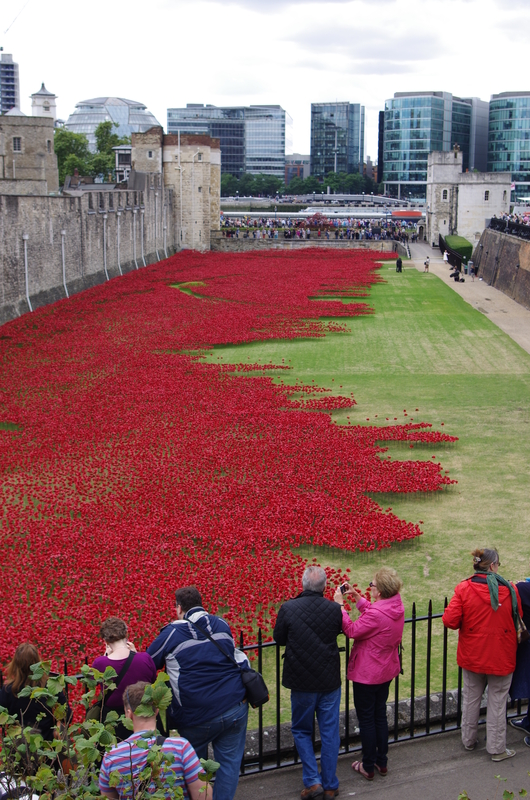 ‘Blood Swept Lands and Seas of Red’ (Paul Cummins, 2014) at Tower Hill. Photo: Jaime Ashworth, 2014. It is this kind of work that I missed when visiting Tower Hill to see the installation by Paul Cummins, Blood Swept Lands and Seas of Red, which is slowly filling the moat of the Tower of London with 888, 246 ceramic poppies to remember ‘every death among the British and Commonwealth forces between 1914 and 1921’. No crowd of the size that was there will ever be silent – life, after all, goes on – but many individuals were. Many wiped away tears. But the novelty will fade. The weather will be less conducive to standing and watching this creeping static tide. And at that point the questions come. For a start, British and Commonwealth? Surely you mean Empire? David Olusoga’s passionate and critical The World’s War: Forgotten Soldiers of Empire has told the stories of some of those whose tomorrows were not ‘given for our freedom’ but rather mortgaged by their Imperial landlords. Talking of the Boys’ Own retelling of Paul Lettow-Vorbeck’s brutal campaign in Africa (entitled Heia-Safari! ), Olusoga fixes the camera in the eye and says very clearly: “But I can’t see it like that. Because I was born here.” In the previous episode he was seen to physically recoil from some of the aggressive racism in propaganda about the colonial troops. It’s this kind of aggressive and visceral counter-narrative that installations like Blood Swept Lands and Seas of Red negate in their scale and pure emotional appeal, smoothing away problems with a form that renders all casualties in one colour, blending all, servant and master, officer and soldier, ruler and ruled, into one egalitarian mass. And over the road from the Tower, a memorial to the Merchant Navy of 1914-18 stands all but ignored by the crowds. Have you forgotten yet? This question begins Siegfried Sassoon’s ‘Aftermath’, which goes directly on to describe how ‘the world’s events have rumbled on since those gagged days,/ like traffic checked while at the crossing of city ways’. 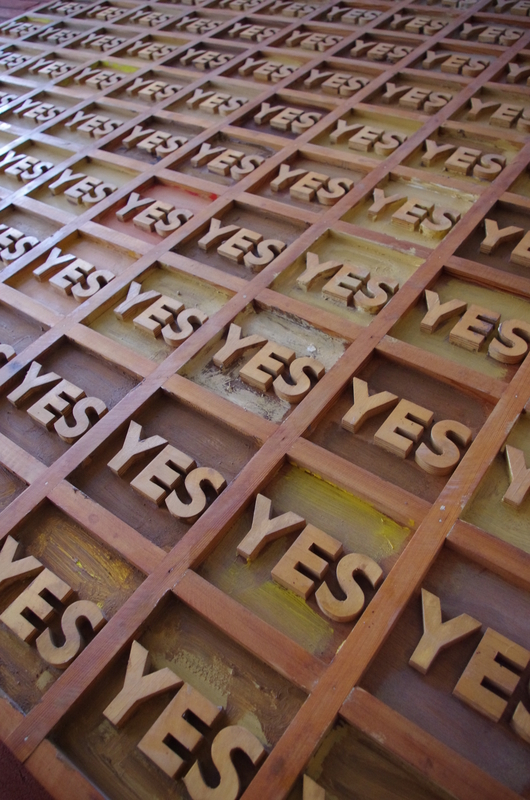 Solid and reassuring answers are in many ways the best indicator of a problem. Like the mannequin in Colin Self’s 1966 The Nuclear Victim (Beach Girl), answers and questions should be textured and challenging rather than smooth and accommodating. The IWM renovation works because it demands engagement from the visitor: as I looked at the work by Self, I heard a boy (maybe twelve) ask ‘Dad, what’s happened to her? What’s happened?’ his alarm increasing with repetition. The other reason the IWM works (and why museums in general can work) is because finding out demands from the boy and his father (and others just like them) an active enquiry. The confrontation between those who favour ‘smooth’ interpretation and representation and those who reject such in favour of more ‘worked’ or ‘textured’ answers has been in the offing all year. Michael Gove’s sniping contempt for ‘left-wing historians’ indulging in ‘misrepresentations which reflect an, at best, ambiguous attitude to this country’ can (for me) be detected in passive-aggressive form in many of the injunctions to ‘remember’ “all those who gave their lives for us to live free” which fill Twitter feeds and Facebook pages and newspapers and all the other ways that ‘public opinion’ asserts itself. I remember them. As brave men who were scared. As good men who did terrible things. For a good cause, for a bad cause, for no cause at all. Because they wanted to and because they were compelled or even forced to. But I try to do so in as many of these ways as possible, knowing that all (and none) are true. But in the trying, I remember. A detail from the IWM London First World War Galleries. Photo: Jaime Ashworth, 2014. 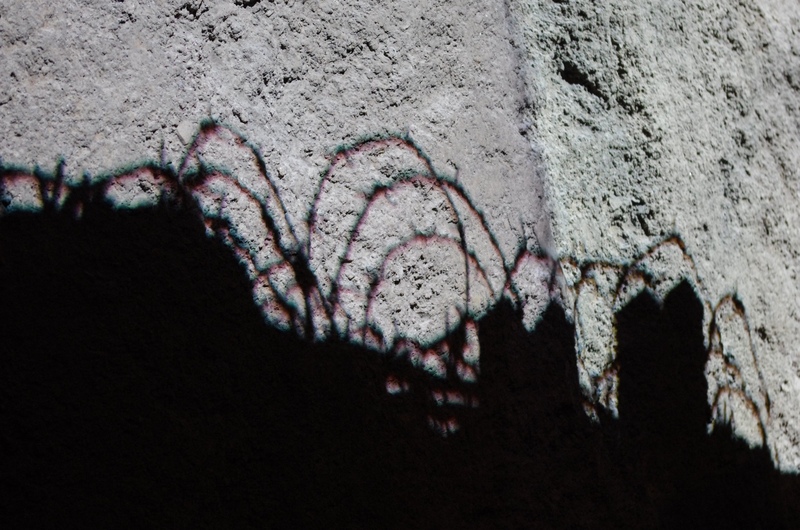 Part of the wall from the Pawiak prison in Warsaw. Photo: Jaime Ashworth, 2013. I have no practical solution to the broader political problem, chiefly because there is no real need to present one again. As an article by Bronwen Maddox in July’s issue of Prospect suggests, there is broad understanding that the practical steps are what they have been and always will be until somebody (ideally everybody) steps up: an agreement by both sides to abjure violence; cessation of Israeli settlement building and an easing of the economic blockade of the Palestinian Authority; recognition on the part of the Palestinian leadership that whether or not they think Israel should exist it nevertheless does exist and will continue to do so in the event of any peaceful solution. And then we can get down to the substantive issues of Jerusalem, refugees and everything else. Assuming we’re interested in a peaceful solution, the steps are as well-worn as the streets in the city that both sides have claimed for as long as memory. But to what extent is anyone interested in a peaceful solution? The government of Israel clearly isn’t, preferring to bring the temple down on their own heads, chipping away at the pillars of the international support it has more or less enjoyed for sixty-five years: one more shell, one more broken ceasefire, one more dead child at a time. As someone who has spent his adult life studying the Holocaust and its aftermath, I understand (I think) something of the case ‘for Israel’: on this occasion, the bloodshed seems so disproportionate, the consequences so predictable, that I cannot find the words to make it. I have just started Shani Boianjiu’s novel The People of Forever are Not Afraid and shudder inwardly at the title. Please, be afraid. Please, don’t bank on the memory of your sufferings to shield you from the realities of what you’re doing. Please, stop banking on forever. Please, ask what kind of people you have become. Please: stop. To a much lesser degree, this can be applied to the Palestinian side of the equation. A two-state solution will require a recognition of the other state. The fact of being oppressed and threatened and attacked is no guarantee of exemption from the scale of moral values. If there is one thing to be learnt (indirectly) from the Israeli rhetoric of existential threat, it is surely that suffering does not automatically ennoble. In many ways, the real burden of Fella Scheps’s question may – unfairly – fall on the citizens of Gaza. If there is to be a peace that lasts without even more bloodshed, it will come from you, the current victims, deciding on a magnanimity in defeat and despair that has eluded your oppressors. One aspect of the Israeli insanity is that, in the words of Avraham Burg’s impassioned The Holocaust is Over, We Must Rise from Its Ashes, ‘All is permitted because we have been through the Shoah and you will not tell us how to behave.’ If the bombing stops, if somehow a moment comes where you have the choice of what to do with your enemy, what kind of people will you be? And for those of us watching, heartsick and angry, wondering if there is an end in sight worth seeing, Fella Scheps’s question holds lessons also. In this moment, the brutality with which Israeli forces are prosecuting this campaign deserves our condemnation and the resilience of the people of Gaza deserves our support. I have been struck, however, by the way in which the comment on the crisis on my newsfeed has at times been almost calculated to make the opposing view harden its position, has seemed to be intended to antagonise rather than persuade, has degenerated into personal abuse. Reinforcing the views of those who see themselves as friendless with no recourse but further violence (and they exist on both sides) will not make anything better. Yes, everyone is entitled to a point of view and, yes, these events are extreme and horrifying. We should be outraged, we should be sad, we should be angry. But we also need to be humble. Because we all know, however impassioned we are, that we are fundamentally sitting on the sidelines. And from that position, any exhortation of either side to violence, any abuse of those who disagree, is irresponsible and simply not helping. If we insist that those who do not agree with us are wrong a priori, we leave them only submission or retaliation as responses. And the cycle continues, spinning around the globe: the swiftness of the digital ‘like’ and the cheapness of the half-formed comment becoming flywheels that lose control, spinning us all into nothing. I believe in the sun, even when it doesn’t shine. I believe in love, even when I don’t feel it. I am tempted to say that ‘even’ should probably read ‘especially’. At moments like these, the only route to long-term survival is crossing the boundary of otherness with nothing but tenderness: precisely because it is hard, precisely because it eludes us. Perhaps we should bring the day Williamson suggests forward: otherwise, what kind of people will we be? A US War Bond Campaign from 1918 remains chillingly relevant to this week’s news. Photo: Jaime Ashworth. The essence of propaganda is to capture the imagination so thoroughly that the mind has no choice but to follow, holding you in thrall with the medium so the message is absorbed and accepted without question. Propaganda: Power and Persuasion at the British Library succeeds because its presentation is as compelling as its analysis. This has been a week when the issues of consent, control and information that underlie any discussion of propaganda have been very important. Internationally, the revelations around Operation Prism and the mining of data have raised these questions particularly sharply, while in the UK the continuing row over the history curriculum and the plans to commemorate the 1914 centenary through ‘objective facts’ are also relevant. 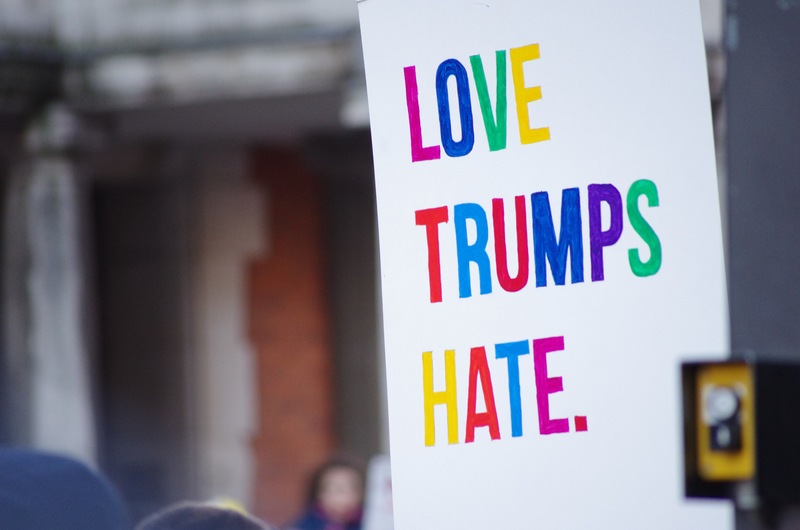 Most pointedly, this week the Russian Duma passed legislation making it illegal to spread what it termed ‘homosexual propaganda’, which it seems to equate with simply being homosexual. The question of how we navigate between education which teaches us how to think and propaganda which tells us what to think is not a relic, any more than it was in 2007-2008 when the Imperial War Museum put on the related exhibition of war posters, Weapons of Mass Communication. David Welch, in his beautifully produced book accompanying this exhibition, outlines the continuing tensions and fault lines very concisely, perhaps setting out the case for a detoxification of the word propaganda better than the exhibition does. Welch’s concern for the negative connotation of the term propaganda raises very acutely the problems surrounding the limits of language to express anything without imposing some kind of register or significance on what it describes – what has been termed the problem of emplotment. Earlier this week I added my name to an open letter to the Prime Minister and Education Secretary which claims that the proposed history curriculum runs counter to the 1996 and 2002 Education Acts. It refers to a petition to ‘Keep the History Curriculum Politically Neutral’, opposing the promotion of ‘a nationalist political agenda [which] will stop history being a vehicle for teaching critical thought.’ This is a worthy and well-intentioned campaign, which does not (in all fairness) make clear what the author of both letter and petition propose to teach instead and why (and indeed how) that is neutral. I am, if not a Marxist, then certainly a leftie – and if I weren’t, Michael Gove excoriating Marxists and lefties would certainly increase my sympathy with them. At the same time, however, it is vital to maintain the distinction between ‘neutral’ and ‘what I happen to agree with’. To do otherwise is to engage in propaganda. Detail from ‘Page 1, Penelope’ (Joe Tilson, 1969) in the British Library foyer. Photo: Jaime Ashworth. In Britain, the work by Paul Addison and Jeremy Crang on the Mass Observation weekly summaries of the public mood highlights that across Europe this kind of information was collected to a purpose during World War 2. Seventy years later, many of the slogans and campaigns developed in response are part of the common cultural framework: Dig for Victory, Careless Talk Costs Lives, Coughs and Sneezes Spread Diseases,Make Do and Mend. All of these have been revived by the Imperial War Museum for their modern resonances with ecologically sustainable living. Even the duds – Keep Calm and Carry On was never widely distributed due to lack of response – have become a part of our discourse, as anyone who watched the Hungarian dance troupe Attraction win Britain’s Got Talent after a montage of soupy patriotism can attest. We all have views on whether a message is good or bad that rely on criteria which are to varying degrees impervious to argument. Though Max Hastings this week seemed unclear about this, it is very hard to state ‘just the facts’ – and consequently retaining a firm grasp on when propaganda is bad is not as easy as it might seem. One of the sections in the exhibition is called ‘Nation’ and includes the following comment on the inclusive use of propaganda in the processes following decolonisation. To succeed, new leaders had to build credibility and authority among their populations. Where nations included diverse cultures and perspectives, new rulers worked hard to create a sense of unified purpose. Benedict Anderson suggests in Imagined Communities that this process is more of a cycle where aspirations and self-conceptions agglomerate to untidily form what we now term ‘nationalism’. 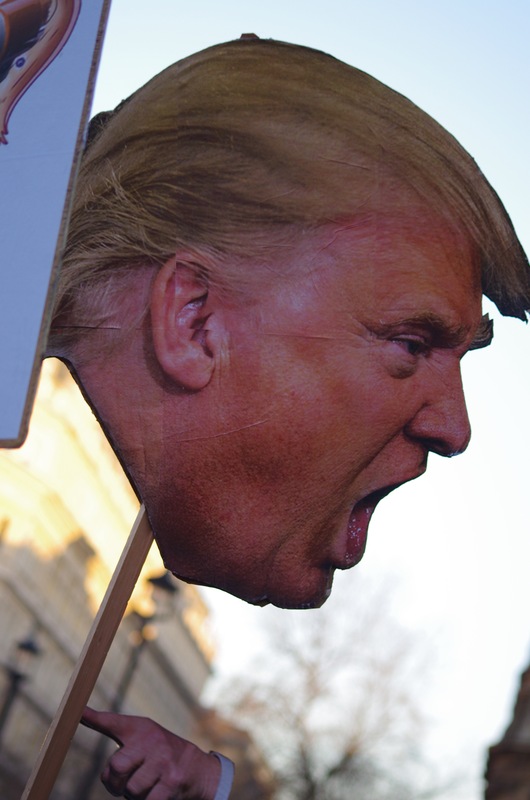 Is a national self-awareness merely a form of propaganda? I was reminded of Yes, Prime Minister, where Bernard would formulate ‘irregular verbs’ to demonstrate hypocrisy: he might have said that I inspire; you preach; he spreads propaganda. Alistair Campbell is a talking head in the exhibition and praises the power of the 2012 Olympic opening ceremony with the simple (and telling) phrase ‘That’s country branding.’ Well, yes it is – but so was Triumph of the Will. The difficulty in answering these questions is skilfully reflected in the exhibition design. Sections bleed into one another and so emphasise the commonalities between campaigns to (variously) smoke less or not at all, buy war bonds, take more exercise, realise the objectives of the Five-Year Plan, use a handkerchief, enlist in the army or have only one child. This last poster, for the One-Child Policy, was for me the most horrific in its concealment of awful, sustained (and continuing) suffering behind simpering glossiness. Though I am aware that others might find the insouciant sense of entitlement of the interwar Empire Marketing Board equally if not more deceitful. One man’s nostalgia, after all, is another woman’s history of bloody oppression. In moving the viewer to consider the contradictions and centrality of ‘our’ histories this exhibition is constantly engaging, challenging and informative. In being so, however, the means by which this happens are slightly neglected. The diversity and quantity of what is on display is incredible in terms of both historical scope and geographical coverage. I felt at times, though, that a more focused look at why and how different forms and media, whether visual, plastic or performative, have their effects would have been useful. The throwaway reference to the ‘documentary style’ of Der Ewige Jude really needed to consider the range of visual and social criteria suggested by the phrase. As John Tagg put it in the title of his book, there is a burden to representation which this exhibition perhaps wears a little too lightly at times. I was struck by the analysis of one of Norman Rockwell’s ‘Four Freedoms’ posters: it took the individual image apart but did not address the way in which the campaign as a whole opposed the ‘Freedom from Fear’ and ‘Freedom from Want’ which were ‘Ours to fight for’ and the ‘Freedom of Worship’ and ‘Freedom of Speech’ – which were there to be saved (in all cases by buying War Bonds). Medium and message could perhaps have been isolated slightly more. In the same vein, I felt that amongst an abundance of manipulative polemic, any distinction between ‘propaganda’ and ‘anti-propaganda’ boiled down to very subjective and historically contingent judgements. And there were some missed opportunities in this context: for example the ironies of poacher turning gamekeeper. We have all, at some point, been more spinned against than spinning. On a related note, I was struck by the way which the form of the exhibition encouraged a kind of ‘semiotic totalitarianism’ in some of its structures. Waiting to listen on individual headphones to some of the audio-visual material locks the visitor into their individual experience in a way which recalls Arendt’s idea of an ‘atomised’ society, with the possibility of debate and discussion closed off. The faceless mannequins, often with apposite quotations on their chests, are extremely ambiguous, recalling both the silenced individual and the faceless guard. Finally, the security guards who smoothly insinuate themselves as people try to take (forbidden) photographs bring to life the ultimate goal of propaganda: to control and define the terms of individual experience, if necessary by force but ideally by volition. 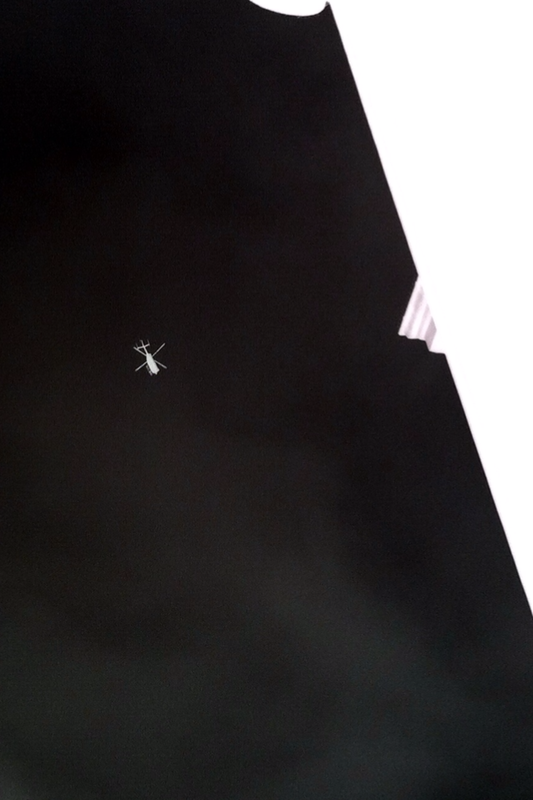 A helicopter hovers over Central London, 11 June, 2013: the Evening Standard reported that ‘Police made arrests as they launched a crackdown to prevent rioting and serious disorder’ ahead of next week’s G8 summit. Photo: Jaime Ashworth. Once established, these structures are extremely resistant. Ellen Gallagher’s aggressive deconstructions of the racial and gender identities expressed through advertising are a case in point. As much as they attack the status quo, they are also exhibited within it (at Tate Modern) and thus to some extent tamed. These are obviously very live issues this week, with the revelation that the NSA and GCHQ routinely obtain, store and analyse our data, often with the connivance of some very familiar – if not perhaps actually trusted – brands. In response, William Hague issued the standard bromide: that the innocent have nothing to fear. And it should be borne in mind that there is a lot to keep track of. The exhibition’s final installation, Chorus, 2013, consists of fifteen columns of Twitter posts, pulsing relentlessly across the field of view while being sorted in different ways. No eye could possibly monitor such action – and this is just a tiny fraction of the stream of data produced every second of every minute of every day. One has to wonder whether, just as to defend everything is to defend nothing, to collect such quantities of data is to render it permanently incomprehensible, certainly for the predictive purposes that some might suggest. So why collect it? So that when your crime is discovered (or more worryingly, defined) the evidence can be found? The innocent do have nothing to fear: but who decides who is innocent? How do I know they’re wrong? The real damage done by propaganda is its erosion of the essential trust that exists in a healthy society between government and the people. Propaganda: Power and Persuasion is at the British Library (www.bl.uk/propaganda) until 17 September, 2013. Adults £9 (£10 with GiftAid donation), Under 18s free, Concessions available. Ellen Gallagher: AxME is at Tate Modern (www.tate.org.uk) until 1 September. Adults £11, Concessions £9.50. The Cenotaph, Whitehall, Sir Edwin Luteyns 1919-20. Photo: Jaime Ashworth, 2013. The next two years are going to see a huge number of military anniversaries. 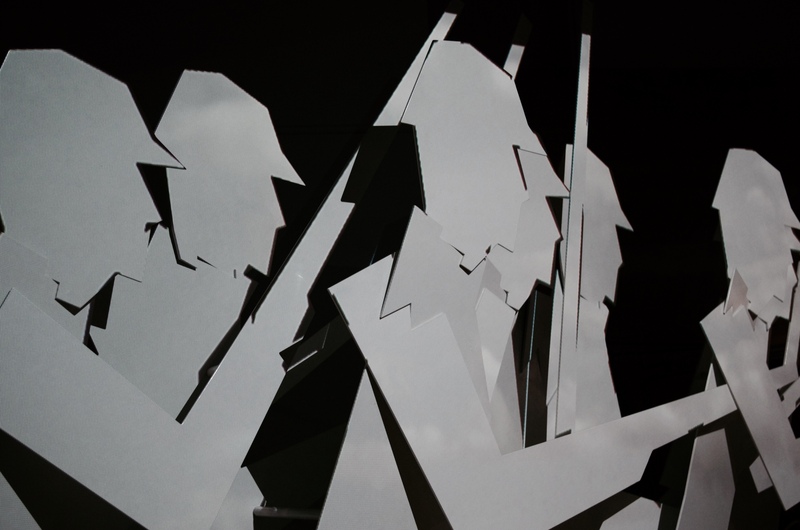 Next year will be the centenary of the outbreak of the First World War and the 70th anniversary of D-Day. The ‘Twenty Years Crisis’ as E.H. Carr termed it is becoming history. There are already no living British veterans of the First World War and the number of Second World War veterans is decreasing. To paraphrase the Ode of Remembrance, the sun is going down and we can only remember them. 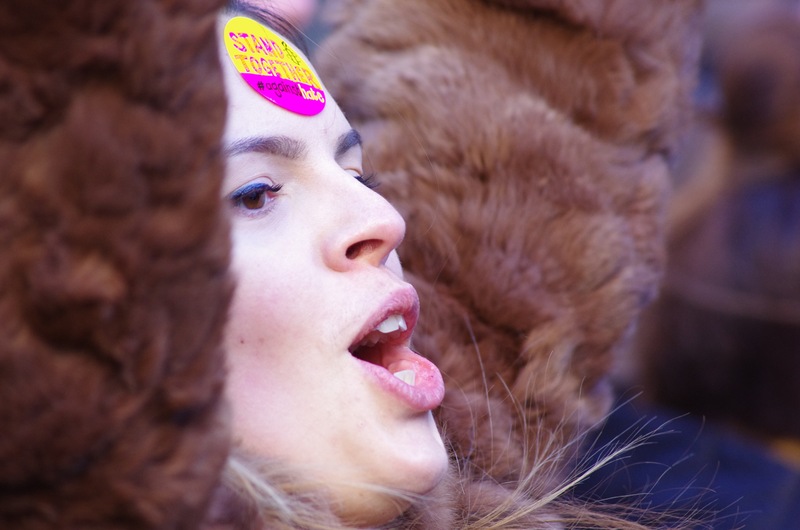 The means by which we negotiate these events – what Susan Rubin Suleiman has termed ‘crises of memory’ – is likely to feature prominently in these posts. This memory-work, though, will be done against a backdrop of the war in Afghanistan, projected for ‘drawdown’ by the end of 2014. After a meeting with Anders Fogh Rasmussen last month, President Obama has proposed a NATO summit to discuss the withdrawal – as he put it, to ‘underscore this final chapter in our Afghan operations’ – for 2014. As someone who has engaged with various forms of memorial practice, I was struck by the way in which Jones had emphasised the number killed. With full respect for the fact that anyone’s death is a tragedy, there is an interesting shift in our response to Afghan casualties that deserves to be considered in the context of its historical evolution. 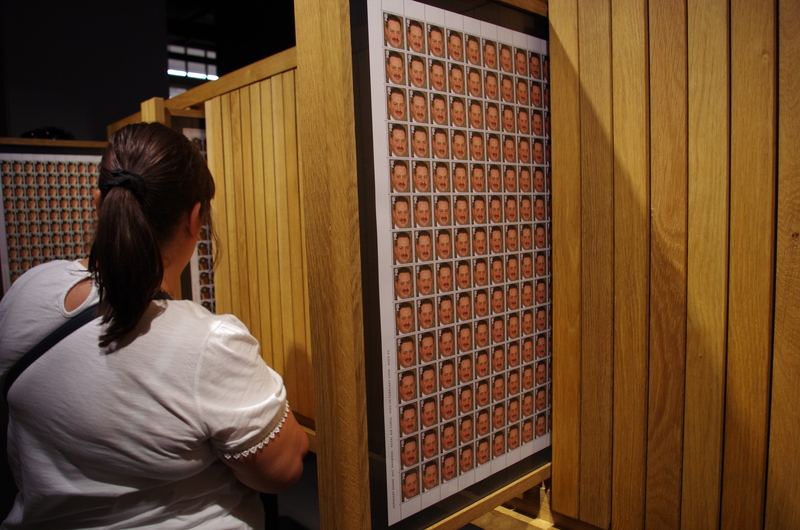 Looking at the BBC website for the casualties I was reminded of the 2007 project Queen and Country by the artist Steve McQueen, intended to remember those killed in Iraq through facsimile sheets of postage stamps bearing images of the dead. I viewed the work when it was at the Imperial War Museum and was struck by its patient dignity: the sheets are only visible one at a time, forcing the viewer to engage with each casualty as a discrete loss of life. In one sense this is a continuation and modernisation of a memorial form that has endured throughout the twentieth century’s violent history: the list of names. 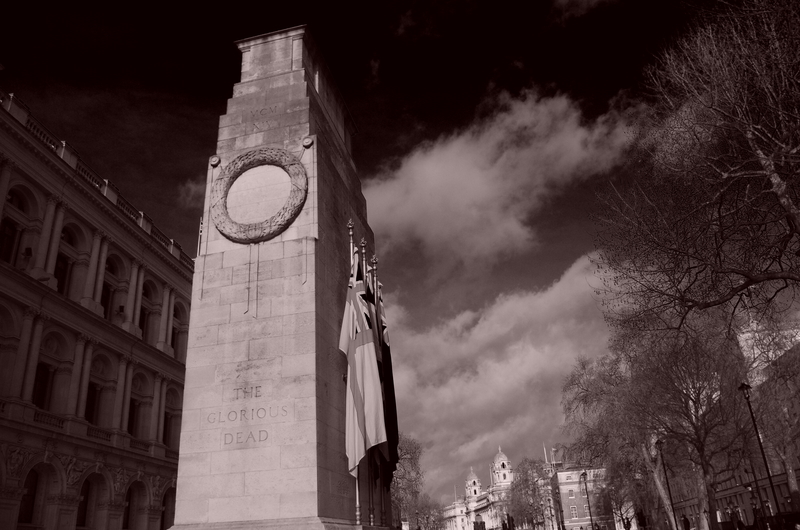 The United Kingdom National Inventory of War Memorials (UKNIWM) has records of 64,000 of an estimated 100,000 war memorials in the UK, and many of them bear lists of those killed from a particular institution or locality. Entering the name of Godalming, the small Surrey town where I live, into the search engine produced results for the town, in the parish church and for a municipal roll of honour, as well as for the memorial cloister and plaque at Charterhouse School. Although the search only produces some of the individual names (those recorded at Charterhouse), the list of the fallen is central to the form of memory involved. This is a pattern replicated across the country – the Cenotaph at Southampton, for example, was inscribed with 1,997 names in 1922, though research by Tony Kushner of Southampton University apparently suggests that this excluded the names of members of the Jewish community. The Southampton Cenotaph was designed by Sir Edwin Luteyns, the designer of the Cenotaph in Whitehall (and coincidentally a resident of Godalming). Originally commissioned in 1919 as a temporary monument in wood (the original was kept by the Imperial War Museum until its destruction in a WW2 air-raid), the stark simplicity of the design bears neither names of the fallen nor religious motto. Instead two stone wreaths and the words ‘The Glorious Dead’ invite the viewer or participant to think about its meaning. This blank quality opens the memorial to different meanings and has allowed it to transcend its origins in the aftermath of a specific conflict to act as a focus for the national act of remembrance of all conflicts. At the core of these efforts to remember, however, is a dialectic between the event being remembered and the form in which this is done. In other words, what an event commemorates will determine the form of memorial that is most appropriate – and conversely, the form of memorial can tell us a great deal about what is being remembered. A useful example here is Maya Lin’s Vietnam Memorial in Washington D.C. which takes the list of names as its basis. The description on the artist’s website (click the quote for the link) brings out the three key elements: names, closure and geographical location at the heart of the national capital. The idea is that, as the National Parks Service puts it, it is a ‘Wall that heals’, by providing a place where those who served or lost friends and relatives can be reasonably certain of finding the name of the person they are remembering, a process facilitated by printed and online registries. So the form of the memorial tells us that this was a bloody war (there are currently 58,261 names) of long duration (the casualties are ordered over a period of fourteen years). The subdued quality of the memorial – with no heroic figures or waving flags, unlike the Marine Corps memorial in the same city – suggests that this was a defeat. But perhaps counting the cost in this very personal way turns even a victory into a defeat: perhaps the most striking of Luteyns’s memorials, the Memorial to the Missing of the Somme at Thiepval, has the names of more than 72,000 soldiers with no known graves inscribed into its fabric: a consequence of weapons which not only killed but obliterated. I remembered that the lads were still waiting outside for news – but I was in bits, so before I went to see them I found a quiet room and wept… Then I went outside and told them that JT was dead. To apply force with utility implies an understanding of the context in which one is acting, a clear definition of the result to be achieved, an identification of the point or target to which the force is being applied – and, as important as all the others, an understanding of the nature of the force being applied. Smith’s set of tests can be applied with a little alteration to the critiquing of memorials. This may seem a frivolous exercise for the armchair peacenik but to me it seems that questioning the terms in which the last war is remembered is an essential part of preparing for – and perhaps avoiding – the next one. No one can make any certain pronouncements in the face of the individual tragedies created by such moments. And yet, I am moved to wonder whether this kind of very personal memorial would have been possible in other conflicts; whether our ability to pay personal homage to individual coffins arriving home does not reflect a kind of luxury that we should perhaps value more highly in asking questions about whether and how armed force is deployed. Because the marking of the individual death is a result of the economic, cultural, political and military power that allows us to make war in a fashion that is ‘asymmetric’, which is why our roll of honour can be contained within a single webpage or memorial. Which makes it no less honourable. 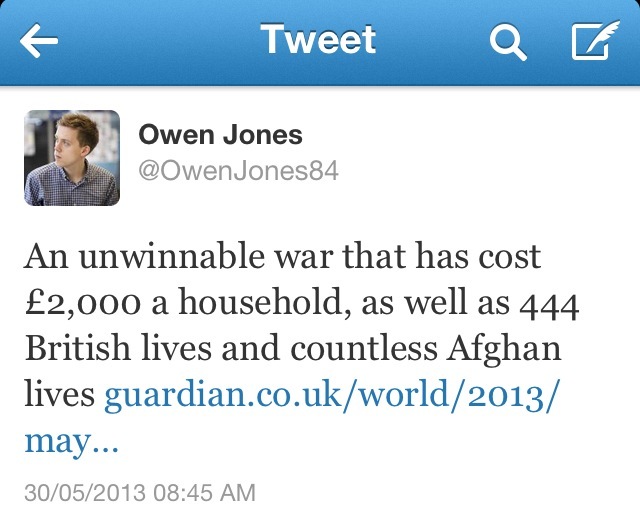 We have come a long way at great human cost since Wilfred Owen wrote Dulce et Decorum Est. We value individual suffering and deplore injustice in ways that many of those who fought a century ago would struggle to comprehend: there is, though, clearly some way to go. I honour the memory of those who die by trying to make my world better. Frank Ledwidge’s Investment in Blood: The True Cost of Britain’s Afghan War, was published last week by Yale University Press, RRP £18.99. The words of Rev. Stuart Hallam are taken from Helmand: Diaries from Front-Line Soldiers, Osprey, Oxford 2013. “Returning violence for violence multiplies violence, adding deeper darkness to a night already devoid of stars. Darkness cannot drive out darkness; only light can do that. Hate cannot drive out hate; only love can do that.” – Martin Luther King Jr., 1958. But where to find it? Where to even look for it this evening? The macabre chaos surrounding the death of Drummer Lee Rigby of 2nd Battalion The Royal Fusiliers late yesterday afternoon seems to have brought the darkness closer, provoking a response which mixes fatuity with venom and achieves nothing except the goals of those who want us divided and fearful; those who want us to blame others before we examine what we can do to make things better. Judith Butler has addressed this in her book Precarious Life, arguing that the belief in a cycle of violence is one of the most fundamental obstacles to arresting it. Her observation that after violence ‘a narrative form emerges to compensate for the enormous narcissistic wound opened up by the public display of our physical vulnerability’ is borne out tragically by the headlines of newspapers this morning. The degree to which the designs make it unclear whether they are quoting the suspect or issuing his threat back to him is chilling in its endorsement of the inevitability of retaliation. Forgiveness is a concept that has been dealt with exhaustively but not at all effectively. In the course of developing this concept for the closing chapters of my doctoral thesis (an early version can be found on the Writing and Research page of this site) I looked at a range of responses by philosophers on the problem of forgiveness. The results were not edifying. For philosophers, it seems forgiveness is like the flight of a bumblebee to a particular kind of mathematician: something which, since it cannot be denied, must be explained away. Either an action is not sufficiently heinous to warrant forgiveness or the forgiveness is necessarily inadequate in response to a heinous act. In Getting Even, Jeffrey G. Murphy uses this impasse to develop what is almost a theology of the ‘vindictive passions’. In The Sunflower by Simon Wiesenthal, a range of thinkers seem to go out of their way to put obstacles in the way of forgiveness, arguing that even if they might be inclined to forgive, they can understand a decision not to. So what are those obstacles? Forgiveness seems to require a few things. Firstly, a genuine act of wrongdoing: there has to be intent in the wrong or forgiving it is illogical. Secondly, there has to be an admission of guilt or responsibility by the person asking for forgiveness, who must be the person who committed the act being forgiven. Thirdly, the perpetrator must make amends through a process of atonement. Finally, only the victim can give forgiveness. If, by the way, this is starting to sound like a cross between an RE class and a life insurance policy, then you have the measure of the debate. These criteria do, however, explain why murder is often regarded as unforgivable: because intention must be present, because full restoration of the wrong is impossible, and because the victim cannot (by definition) forgive their murderer. There is, however, a reverse to this. The victim of a murder cannot forgive their murderer, but I could (and I hope I never have to learn whether I could do this) forgive the murderer for the victim’s absence from my life. Similarly, if the wrong were one which could be redressed simply then would it be worthwhile even raising forgiveness? If the only circumstances under which a principle was operable were those in which it was an exaggerated response then it wouldn’t be much use at all. Moral principles are almost always at their most useful when we resist their implementation: they are there to guide us to the response we know to be the best when our instincts pull us elsewhere. Which raises one final question, and this is crucial in engaging with the debate over yesterday’s attack. 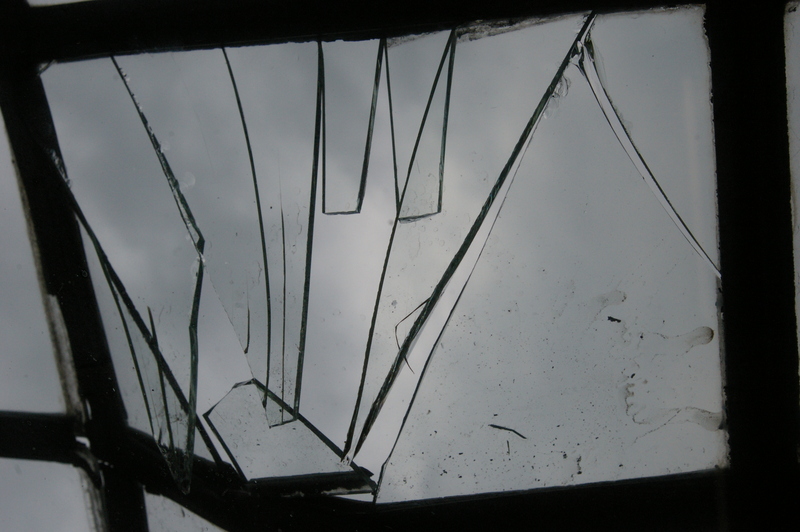 Those who argue that no one but the victim can forgive need to answer a question: how can anyone but the victim blame?